1. This is an action for damages sustained by Plaintiff for the malicious and intentional actions of Defendants, who have published false, outrageous, and defamatory statements about Plaintiff. 2. Defendants have staged a massive defamatory campaign against Plaintiff–both in public and on the Internet. 3. Defendants conspired to damage Plaintiffs reputation and have actively solicited others to do the same. 4. Defendants’ conduct has caused and continues to cause irreparable damage to Plaintiff. 5. Plaintiff World Mission Society Church of God is a New Jersey non-profit corporation having a principal place of business located at 305 Godwin Avenue, Ridgewood, New Jersey. Plaintiff is a New Jersey branch of the World Mission Society Church of God. 6. Defendant Michele Colon (“Colon”) is, upon information and belief, an individual residing in the state of New Jersey. Colon is a former member of the Plaintiff church. 7. Defendant Tyler Newton (“Newton”) is, upon information and belief, an individual residing in the Commonwealth of Virginia in the County of Fairfax. 8. Defendants joined together with the joint purpose and material intent, and acted for and as actual and apparent agents of each other, and conspired together for the common cause and purpose of committing the acts described herein that substantially injured Plaintiff. 9. Defendant Newton is subject to the jurisdiction of this Court by virtue of his residence in Virginia. 10. Defendant Colon is subject to the jurisdiction of this Court pursuant Va. Code 8.01-328.1(3) and (4). Michele Colon expressly aimed her intentional tortious conduct at Virginia and knew that her intentional conduct would cause harm in Virginia. 11. Venue is proper in the County of Fairfax pursuant Va. Code 8.01-262(1) and (4). Venue is further proper because Defendants engaged in a conspiracy, one member of which lives in the County of Fairfax, Virginia. 12. 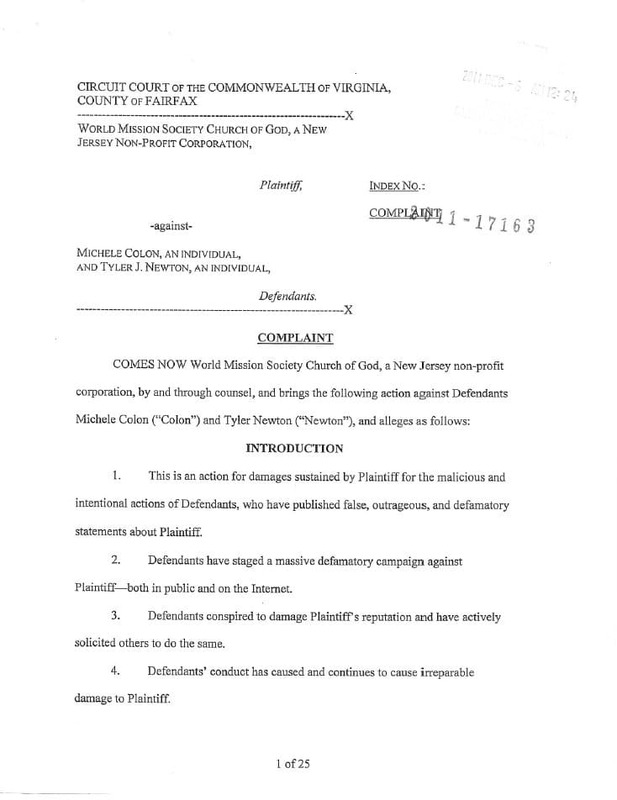 Plaintiff is a New Jersey branch of the World Mission Society Church of God. The World Mission Society Church of God (“Church”), with its roots in Christianity, was founded in 1964. The Church has over 1.2 million members in about 150 countries around the world, with several branches across the United States. 13. Plaintiff is a non-profit organization that, beyond sharing its members’ faith and beliefs, does good works in its community. Plaintiff has received several accolades for its community service. Most recently, Plaintiff’ s members and several of the Church’s branches have been awarded Presidential Volunteer Service Awards. The President’s Council on Service and Civic Participation created this award as a way to recognize and thank volunteers who make valuable contributions to their communities and who also, by their demonstrated commitment and example, inspire others to serve their communities. 14. Defendants have staged a massive and extensive defamatory attack on Plaintiff’ s reputation, both in public and on the Internet. 15. Defendants’ defamatory campaign began in or around June 2011, and is continuous and ongoing. 16. Defendants’ attack on Plaintiff consists of the widespread publication of false and defamatory statements about Plaintiff. The statements are injurious to Plaintiffs name and reputation and expose Plaintiff to public contempt and aversion. 17. Defendants acted with a total disregard for the rights of Plaintiff. Beyond the intentional conduct alleged herein, this fact is further evinced by Defendants’ use of phony Internet handles in an attempt to mask their identities and avoid being held accountable by Plaintiff. 18. Defendants’ defamatory statements have seriously damaged Plaintiff. 19. Plaintiff has lost members who have been intimidated by Defendants’ attacks on Plaintiff. Members who fear harassment at work and in public have left the Church. Moreover, Plaintiff is losing prospective membership because of Defendants’ conduct. 20. Plaintiff has lost prospective donative revenue from members, potential members, and other benefactors. 21. On July 19, 2011, and September 6, 2011, the Village of Ridgewood, New Jersey Planning Board held public hearings concerning Plaintiffs application to extend its building. The purpose of these town hall style meetings was to determine whether Plaintiff should be granted a variance approval and exception from design standard to construct building improvements. 23. Newton attended the meeting on September 6, 2011, where he secretly video recorded the second meetings’ proceedings and persons present using his iPad tablet computer. 24. Upon information and belief, Defendants actively encouraged other persons to attend the Planning Board meetings to defame Plaintiff and block its efforts at obtaining a variance approval from the Ridgewood Planning Board. 25. Plaintiff has not been granted a variance approval. 26. Beyond these instances of public defamation, Defendants have further attacked Plaintiff on the Internet by posting false and defamatory statements on the social media website www.facebook.com (“Facebook”) and on business review websites, by posting false and defamatory statements on Internet blogs, and by creating videos containing false and defamatory statements and uploading them to the website www.youtube.com (“YouTube”). 27. Defendants have organized and currently administer an Internet group dedicated to attacking Plaintiff on Facebook. Defendants named this group “Former Members World Mission Society Church of God Cult” (“Facebook Group”). 28. Through the Facebook Group, Defendants have worked in concert and have conspired both to publish defamatory statements about Plaintiff and to solicit other members of the public to join them in their attack against Plaintiff and its reputation. 29. Upon information and belief, Colon uses the handle “Wmscog Ex-Member” to post comments on the website dedicated to the Facebook Group. All conduct herein alleged to have been performed by “Wmscog Ex-Member” is alleged to have been performed by Colon. 30. “Wmscog Ex-Member” encouraged Facebook Group members “with aliases”–that is, with false Internet handles to hide their identities–to “feel free to combat . . . comments on the bottom of [an] article” published by the online newspaper NorthJersey.com praising Plaintiffs and its members’ volunteer flood damage cleanup efforts with their own comments. 31. “Wmscog Ex-Member” also encouraged members of the Facebook Group to attend a third scheduled Ridgewood Planning Board meeting to attack Plaintiffs reputation at the public hearing as a way to block Plaintiffs efforts at gaining a variance approval. 32. Upon information and belief, Newton uses the handle “James Newton” to post comments on the Facebook Group online message board. All conduct herein alleged to have been performed by “James Newton” is alleged to have been performed by Newton. 33. “James Newton” published the false and defamatory statement that Plaintiff … on the Facebook Group website. 34. Colon has launched an extensive defamatory attack against Plaintiff by publishing false and defamatory statements about Plaintiff on various online business review websites. 35. Upon information and belief, Colon uses the handles “Hailey Stevens,” “haileystevens,” “HaileyStevens,” and “Hailey” to post comments about Plaintiff on the Internet. All statements herein alleged to have been published by any of these aliases are alleged to have been published by Colon. 36. The company Local.com offers one of the most widely recognized network of local search websites. It owns or manages over 100,000 geo-category domain sites. These websites operate essentially as online yellow pages through which Internet users can obtain contact and location information for businesses and organizations and can also post their reviews of the same. 37. Upon information and belief, when a user posts a statement to the website www.loca1.com or to one of Local.com’s other 100,000 plus affiliated websites, the user causes that post to be published on each of Local.com’s affiliated websites. 38. “haileystevens” posted seven separate defamatory reviews about Plaintiff on the website www.local.com, or one of Local.com’s affiliated websites, thereby causing the statements to be published on www.loca1.com and Local.com’s affiliated websites. 40. Beyond posting on potentially tens of thousands of Local.com websites, Colon published false and defamatory statements about Plaintiff on several other similar business review websites. 42. “Hailey” published false and defamatory statements that Plaintiff is a “religious cult” that “will destroy your family and take all of your money!! !” to the review website www.meriden.patch.com. 44. “HaileyStevens” published the false and defamatory statements that “[t]he World Mission Society Church of God . . . . deceive[s] people into listening to them” and that “the World Mission Society Church of God . . . purposefully withhold[s] information in order to deceptively recruit” on the website vvww.findIocal.Iatimes.com. 45. “HaiIeyStevens” published the false and defamatory statements that Plaintiff “destroy[s] families” on the website www.aidpage.com and that Plaintiff is a “religious cult” that “destroy [s] families” on the website www.kudzu.com. 46. “Hailey” published the false and defamatory statement that Plaintiff is a “religious cult” that “destroy[s] families and rob[s] people of their money” on the website www.socialcurrent.org. 47. “Hailey” published the false and defamatory statement that Plaintiff is a “religious cult” that “wil [sic] destroy your family and take all of your money” both on the Website www.chamberofcommerce.com and on the website www.dexknows.com..
49. Defendants have further attacked Plaintiff by publishing false and defamatory statements about Plaintiff on various Internet discussion forums. 50. The Rick A. Ross Institute of New Jersey operates the website www.rickross.com. The website is entitled “The Ross Institute Internet Archives for the Study of Destructive Cults, Controversial Groups and Movements.” This website hosts forums in which Internet users may post comments. 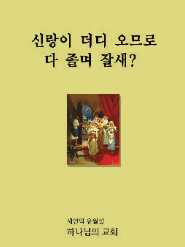 Under the “‘Cults’, Sects, and ‘New Religious Movements’” forum (“Forum”), the website hosts a conversation thread entitled “Ahnsahnghong,” which is the name of the Church’s founder. 51. Defendant Colon uses this Forum to spread harmful defamatory statements about Plaintiff and to direct readers to other defamatory sources, including videos uploaded to YouTube. 52. Upon information and belief, Colon uses the handle “Hailey” to post comments to the Forum. All statements herein alleged to have been published to the Forum by “Hailey” are alleged to have been published by Colon. 54. “Hailey” accused Plaintiff of being “a destructive mind control cult” on the Forum. 55. Beyond the outright defamatory comments on the Forum, “Hailey” has falsely implied that Plaintiff, a tax-exempt non-profit corporation, has an inappropriate financial relationship with the for-profit corporation Big Shine Worldwide, Inc., the president of which happens also to be Plaintiff’s pastor. She has also falsely implied that Plaintiff lies to the Internal Revenue Service (“IRS”) about this alleged connection and its connections to other branches of the Church. 59. 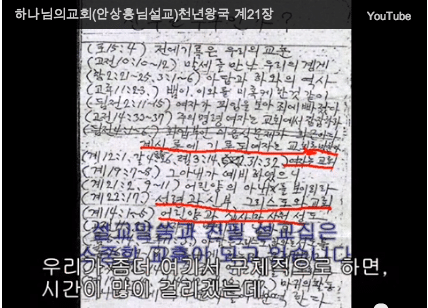 “Hailey” claimed that because Plaintiff and the other branches of the Church report to the IRS independently, Plaintiff “denies that [it] ha[s] any relationship to another organization despite having a clear connection to the WMSCOG in California” and despite being “controlled by the main location“ in South Korea. 60. “Hailey” stated that the different branches of the church report separately to the IRS in “an attempt to minimize the appearance of their growth and remain under the IRS’s radar” to falsely imply that Plaintiff is lying to and misrepresenting its corporate status to the IRS. 61. Although Plaintiff may look to the headquarter Church in South Korea for guidance, Plaintiff and the other Church branches in America are separately organized entities for financial and tax purposes. The American branches are independent corporate entities and report as such to the IRS. 62. Colon’s statements impart the false inferences that Plaintiff lies to IRS and that Plaintiff is hiding a corporate relationship with Big Shine Worldwide, Inc.
63. These statements are reasonably read to impart the false inferences. 64. These statements affirmatively show that Colon adopts the inferences the statements impart. 65. The false inferences are defamatory. 66. Newton, upon information and belief, operates a website and discussion forum dedicated to attacking the Church: www.examiningthewmscog.com (“Newton Website”). 67. 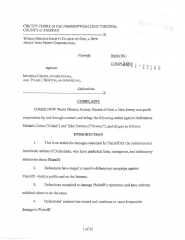 Colon acted in concert with and conspired with Defendant Newton to publish false and defamatory statements about Plaintiff on the Newton Website. 69. Upon information and belief, Colon published each of the five parts to Newton. 70. Upon information and belief, Newton solicited the five-part series from Colon and republished each part on his website. Newton provided his own introduction and conclusion to each of the five parts when he republished the same on his website. 71. The series purports to tell of Colon’s recruitment to and her exit from the Church. 78. Colon further stated that “[t]he WMSCOG was keeping . . . both [Colon and her husband] sleep deprived” because her husband would stay up late to study religious teachings and would wake up early to pray. 79. Defendants further supported the false and defamatory implication that Plaintiff is a cult by publishing Colon’s alleged research about Plaintiff on the Examining Website. 81. Together, these statements impart the false and defamatory inferences that Plaintiff is a destructive organization that tears families apart and uses militaristic mind control and sleep deprivation tactics to control its members. 82. These statements are reasonably read to impart these false inferences. 83. The statements affirmatively show that Defendants adopt the inferences the statements impart. 84. These false inferences are defamatory. 85. Defendants also falsely implied on the Newton Website that Plaintiff fraudulently deceived the Points of Light Institute—the organization that awards the Presidential Volunteer Service Award to get that accolade. 86. Defendants published a “news” article entitled “The WMSCOG ‘Awarded by President Obama’?” on the Newton Website. 89. Organizations are permitted to certify the volunteer hours of their own members and other branches of the same organization so that they may be recognized by this national award. 90. Defendants further state that their “church isn’t signing up to nominate itself ‘to receive such a prestigious award,”’ to imply that Plaintiff” s conduct was wrongful and fraudulent. 91. Defendants’ statements impart the false and defamatory inference that Plaintiff employed deceit to be recognized and honored for its members’ volunteer work by the Points of Light Institute. 92. These statements are reasonably read to impart this false inference. 93. The statements affirmatively show that Defendants adopt the inference the statements impart. 94. This false inference is defamatory. 95. Defendant Colon posted defamatory videos damaging to Plaintiff on YouTube. 96. Colon created a series of videos using a movie making service provided by the company Xtranormal. Xtranormal offers a service through its website that allows Internet users to create cartoon videos. Xtranorrnal provides stock characters and backgrounds–the user provides the dialogue content. The characters in the video repeat the text provided by the creator. 97. Upon information and belief, Colon provided the text repeated by the cartoon characters in the videos she created and uploaded to YouTube. 98. Upon information and belief, Colon used the Internet handle “HaileyStevens10” to upload these videos to YouTube. All conduct herein alleged to have been performed by “HaileyStevens10” is alleged to have been performed by Colon. 100. The statements in the Destroys Families Video are false and defamatory. 101. “HaileyStevens10” also uploaded a video entitled “World Mission Society Church of God Public Financial Info!” (“Financial Info Video“). 102. In the Financial Info Video, Colon falsely implies that World Mission Society is disguising a financial connection to Big Shine Worldwide, Inc. from the IRS. 108. Together these statements impart the false and defamatory inferences that not only does Plaintiff disguise a business relationship with another corporate entity from the IRS but that Plaintiff also is misusing its funds to pay expenses of that corporate entity. 109. These statements are reasonably read to impart those false inferences. 110. The statements affirmatively show that Colon adopts the inferences the statements impart. 111. The false inferences are defamatory. 112. In the Financial Info Video, Colon also falsely implies that Plaintiff lies to the IRS about the source of its funds. 113. Colon claims in the video that she is reading an IRS filing from one of the Church’s branches in the video and notes that the form reports receipt of “a little over $26,000 from a, quote, parental church.” She implies that this is untruthful and suspect because the form does not also report a corporate subsidiary relationship to its parent Church headquartered in South Korea. 114. Plaintiff is not a corporate subsidiary of the parent Church. 115. Colon also falsely implies that the Church lies to the IRS about where the money it receives is going. 116. In the Financial Info Video, Colon notes that the branch claimed “$300,000 in missionary expenses” but states that Plaintiffs members pay their own expenses when they do missionary work, falsely implying that Plaintiff lied to the IRS about how this money was actually spent. 118. Colon’s statements impart the false inference that Plaintiff lies to the IRS about the source of and how it uses its funding. 119. The statements affirmatively show that Colon adopts the inference the statements impart. 120. These false inferences are defamatory. 121. All of the herein alleged statements or inferences are false and defamatory. 122. Defendants made these statements knowing they, or the inferences to be drawn from them, were false or, in the alternative, made the statements with reckless disregard for the truth of the statements or inferences. 123. Defendants’ conduct has seriously damaged and continues to seriously damage Plaintiff. 124. The Court should award punitive damages to Plaintiff for Defendants’ intentional, malicious, outrageous, and oppressive actions evidencing a conscious and knowing disregard for the rights and welfare of Plaintiff. 125. Plaintiff restates as if herein set forth in full all of the allegations in Paragraphs 1-124 of this Complaint. 126. Defendants published false statements of fact about Plaintiff, as specifically alleged herein. 127. Defendants’ false statements, as reasonably construed, expose Plaintiff to public hatred, contempt and ridicule and carry with them an element of disgrace and are therefore defamatory. 128. Defendants knew their public and online defamatory statements concerning Plaintiff were false. In the alternative, Defendants acted with reckless disregard for the truth of the statements and willfully failed to ascertain their truth. 129. Defendants acted willfully and maliciously intended to cause harm to Plaintiff’s reputation among its members and the public. 130. Defendants’ false and defamatory statements have caused serious damage to Plaintiff. 131. Unless and until Defendants‘ false and defamatory statements about Plaintiff are removed from the Internet, they will continue to seriously damage Plaintiff. 132. Plaintiff restates as if herein set forth in full all of the allegations in Paragraphs 1-131 of this Complaint. 133. Defendants published statements about Plaintiff that impart false inferences as specifically alleged herein. 134. Defendants published statements about Plaintiff that are reasonably read to impart false inferences. 135. Defendants published statements that affirmatively suggest that they intended or endorsed the false inferences contained therein. 137. Defendants knew their public and online statements concerning Plaintiff would impart false inferences. In the alternative, Defendants acted with reckless disregard for the truth of the inferences imparted by their statements. 138. Defendants acted and maliciously intended to cause harm to Plaintiffs reputation among its members and the public. 139. Defendants’ statements have caused serious damage to Plaintiff. 140. Unless and until Defendants’ statements imparting false inferences about Plaintiff are removed from the Internet, they will continue to seriously damage Plaintiff. 141. Plaintiff restates as if herein set forth in fill] all of the allegations in Paragraphs 1-140 of this Complaint. 142. Defendants associated, agreed and acted in concert together for the purpose of willfully and maliciously injuring Plaintiff in its reputation and trade as a non profit organization in violation of Va. Code l8.2-499(a). 143. Defendants further attempted to procure the participation, cooperation, agreement or other assistance of other persons to enter into association, agreement or concert with them to injure Plaintiff in its reputation and trade as a non-profit organization in violation of Va. Code 18.2-499(b)). 144. Defendants’ conduct has caused serious damage to Plaintiff. 145. Pursuant Va. Code 18.2-500, Plaintiff is entitled to treble damages and the costs of bringing this suit, including attorneys’ fees. 146. Plaintiff restates as if herein set forth in full all of the allegations in Paragraphs 1-145 of this Complaint. 147. Defendants agreed and acted together and in concert to damage Plaintiff by defaming Plaintiff and interfering with its prospective economic advantage. 148. Defendants’ conduct amounts to overt acts in furtherance of their agreement to damage Plaintiff by defaming Plaintiff and interfering with its prospective economic advantage. 149. Defendants’ conduct has directly and proximately caused serious damage to Plaintiff. 150. Plaintiff restates as if herein set forth in full all of the allegations in Paragraphs 1-149 of this Complaint. 151. As a non-profit organization, Plaintiff depends on donations of its members and other benefactors to pursue its good works in the community and for its general survival. 153. The statements are false. 155. Defendants -published the above alleged statements to the public with the intent to induce others not to deal with Plaintiff. 156. Defendants’ statements played a material part in inducing others not to deal with Plaintiff. 157. As a direct and proximate result of Defendants‘ conduct, Plaintiff has suffered losses in the form of decreased membership and donative revenue. 158. Unless and until Defendants’ derogatory and false statements about Plaintiff are removed from the Internet, Plaintiff will continue to suffer such losses. 159. Plaintiff restates as if herein set forth in full all of the allegations in Paragraphs 1-158 of this Complaint. 160. As a non-profit organization, Plaintiff depends on donations of its members and other benefactors to pursue its good works in the community and for its general survival. 161. Plaintiff had a reasonable business expectancy in the form of donative revenue from its members and other benefactors. 162. Defendants knew of Plaintiffs business expectancy. 163. Defendants intentionally interfered with Plaintiffs business expectancy to terminate that expectancy by disparaging Plaintiff and inducing others to do the same. 164. Defendants acted with malice. The harm to Plaintiff was inflicted intentionally and without justification or excuse. Defendants’ conduct was injurious and transgressive of generally accepted standards of common morality of law. 165. Plaintiff lost prospective economic relationships as a direct and proximate result of Defendants’ malicious interference. 166. Plaintiff suffered losses in the form of decreased membership and decreased donative revenue. 167. Unless and until Defendants’ defamatory and false statements about Plaintiff are removed from the Internet, Plaintiff will continue to suffer such losses. 168. Plaintiff restates as if herein set forth in full all of the allegations in Paragraphs 1-167 of this Complaint. 169. As a non-profit organization, Plaintiff depends on donations of its members and other benefactors to pursue its good works in the community and for its general survival. 170. Plaintiff had a reasonable business expectancy in the form of donative revenue from its members and other benefactors. 171. Defendants knew, or had reason to know, that their conduct would likely cause economic damage to Plaintiffs business expectancies. The likely risk of economic damage to Plaintiff posed by Defendants‘ conduct was foreseeable to and reasonably to be anticipated by Defendants. 172. Defendants therefore had a duty to avoid the risk of causing economic damage to Plaintiff. 173. Defendants breached their duty by defaming Plaintiff and conspiring to defame Plaintiff and by soliciting other members of the public to join Defendants in their attack on Plaintiff. 174. As a direct and proximate result of Defendants’ breach, Plaintiff suffered damages. 175. Unless and until Defendants’ defamatory and false statements about Plaintiff are removed from the Internet, Plaintiff will continue to suffer such losses. F. All other relief as the Court deems just and proper. TRIAL BY JURY IS DEMANDED. Please tell me Michele’s husband got out!!! I hate to hear this bc my husband goes to Passover every year all the way in Texas bc its the closest church…6 hrs away… I have cried and begged him not to go he finally gave in then I left to go to work and he called me an hour later and had talked to his brother (a Deacon) that said he had to go or he was going to go to Hell. Last year he said it was going to be the last Passover bc you know the world is gonna end in 2012. Im sure he will go again this year bc they guilt people into going no matter if their spouse agrees or not. Its disgusting. Basically you have to go to Passover or else! Its a little ridiculous!